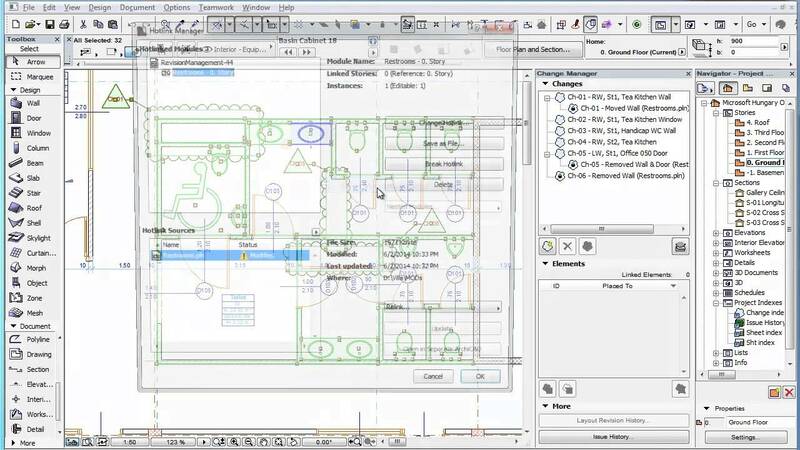 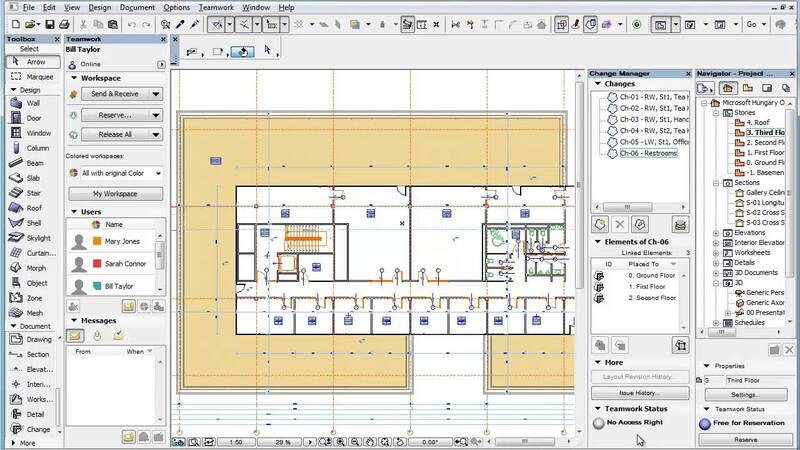 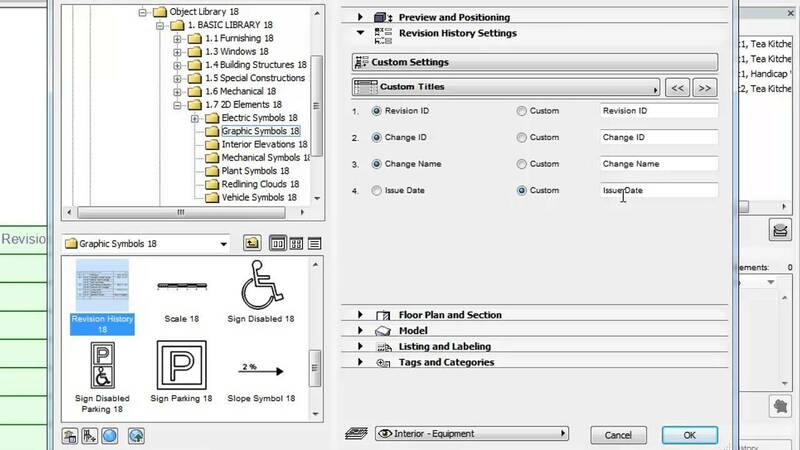 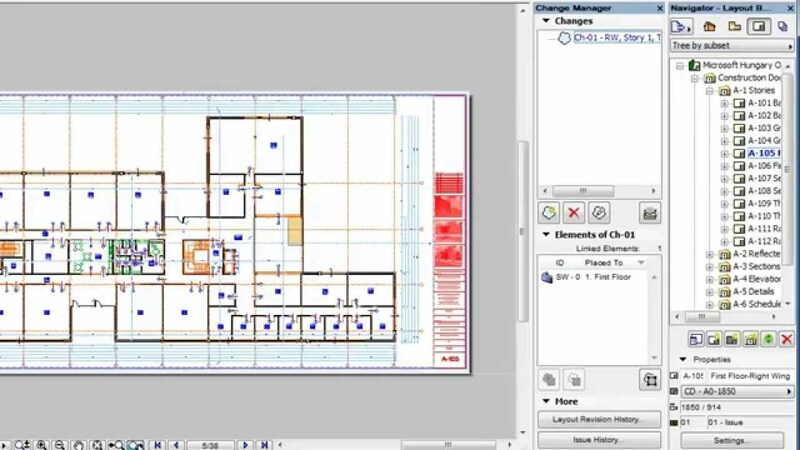 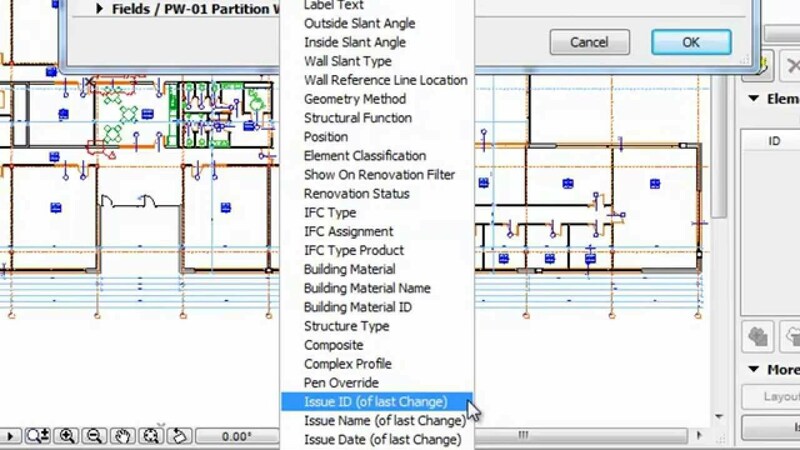 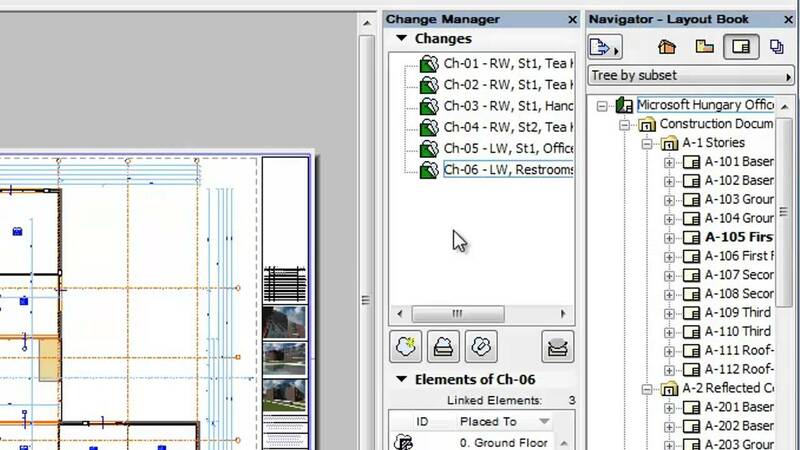 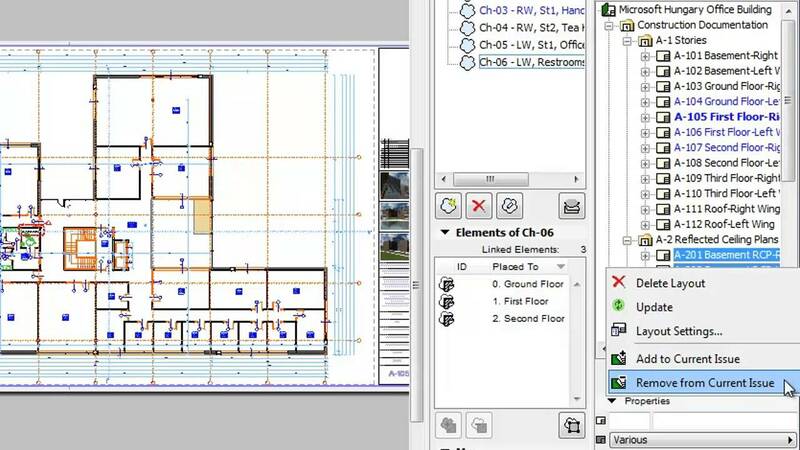 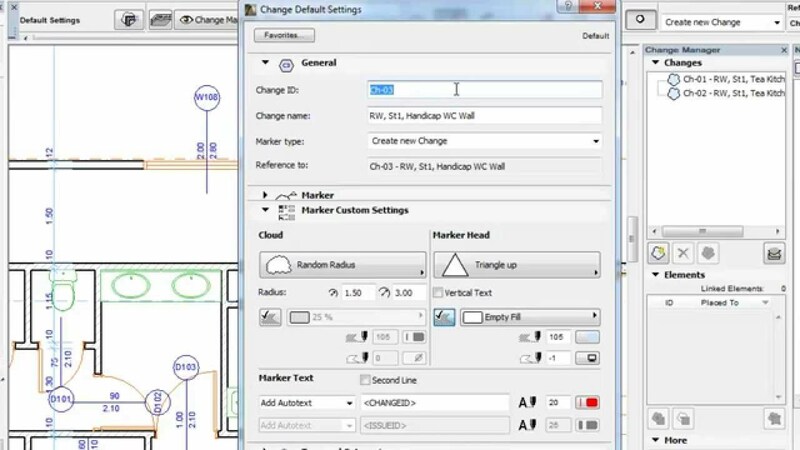 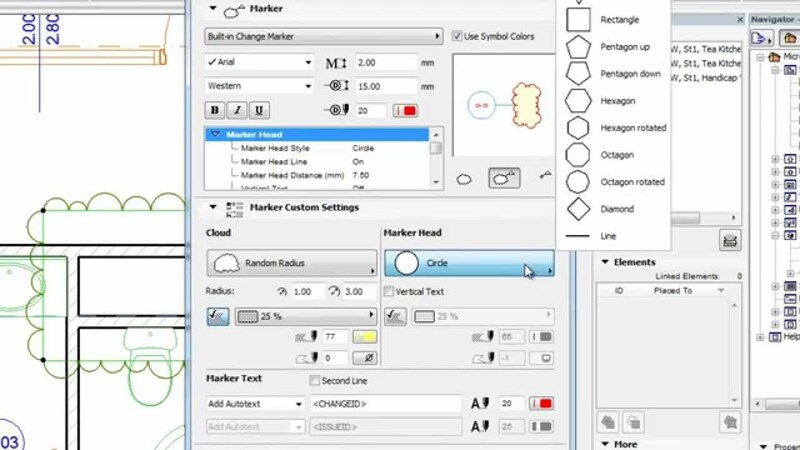 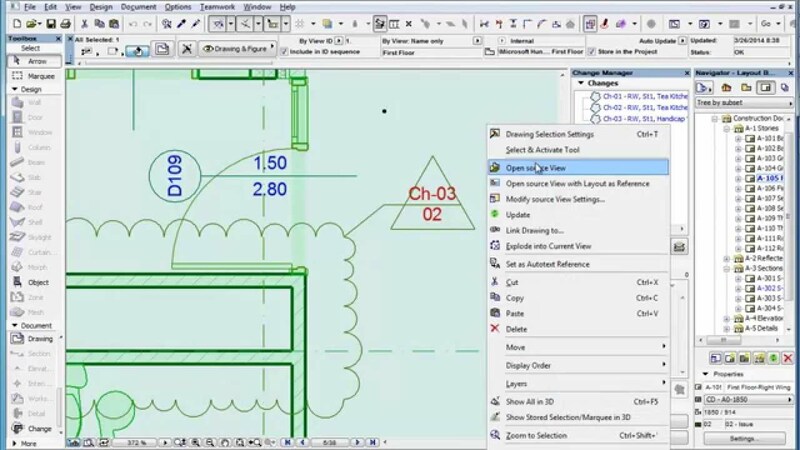 ARCHICAD 18 provides new, fully-integrated Revision Management workflows and streamlined PDF support to greatly improve design data exchange and change management with clients, consultants and the authorities. 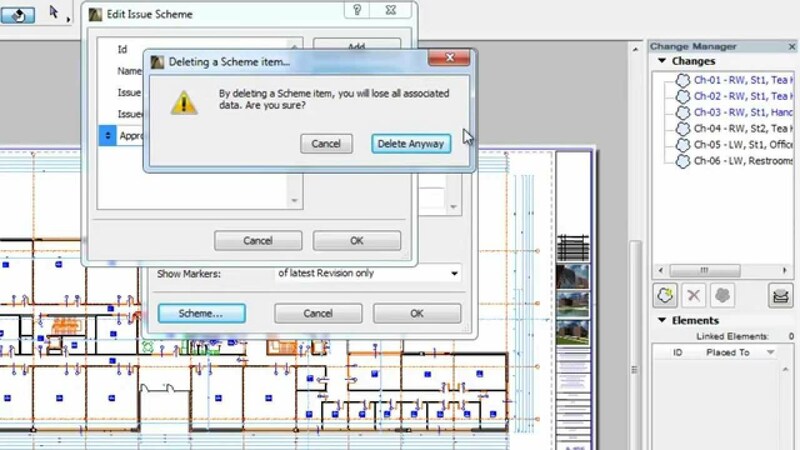 Data exchange with the different disciplines and the authorities puts legal responsibility on architects and designers. 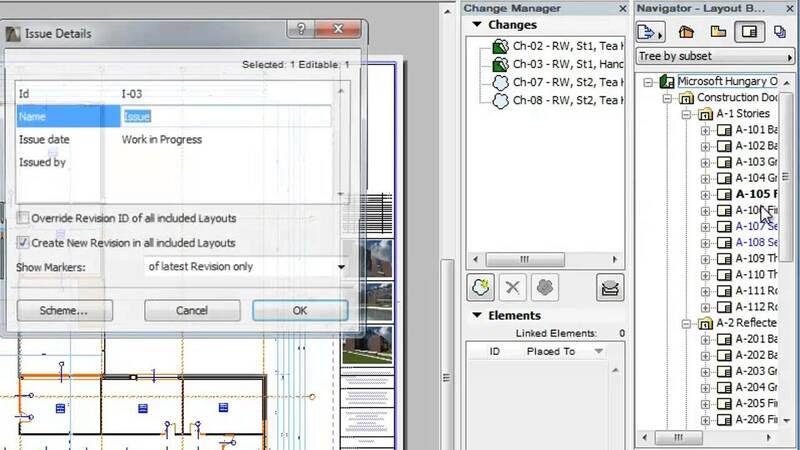 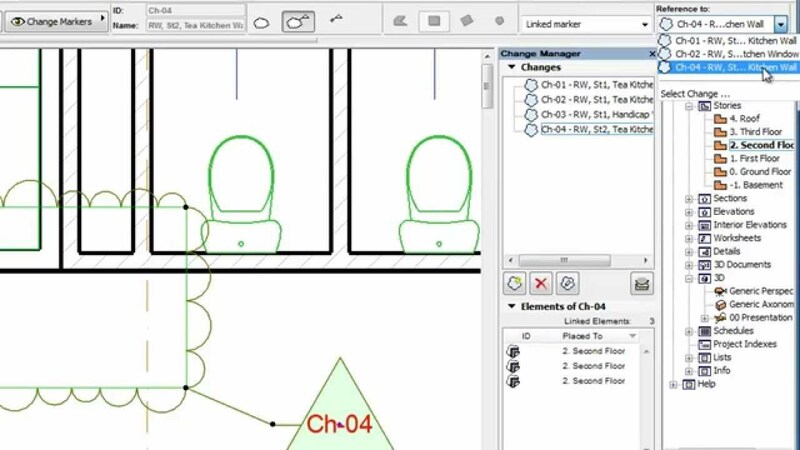 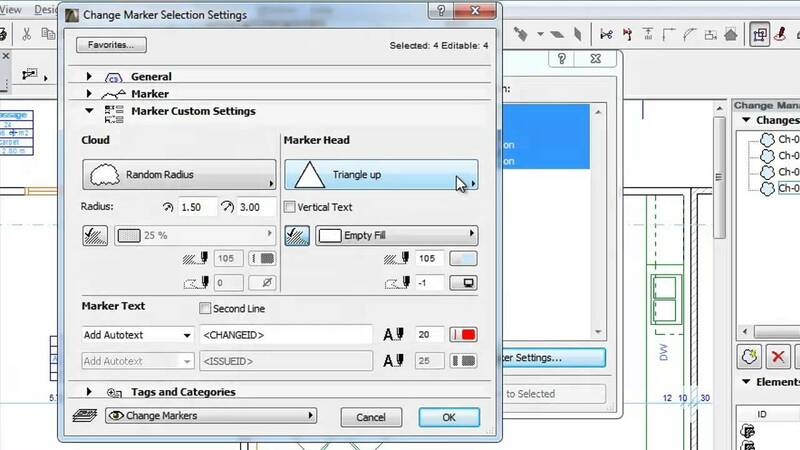 System support in ARCHICAD makes sure changes are tracked and documented so responsibility issues won’t be debated later on. 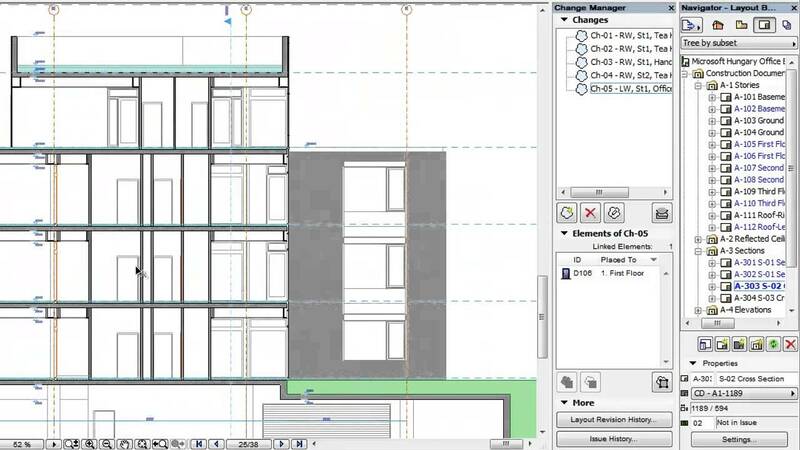 The brand new Revision Management solution is integrated into the entire BIM workflow, providing solutions for 2D, 3D or any kind of hybrid workflows. 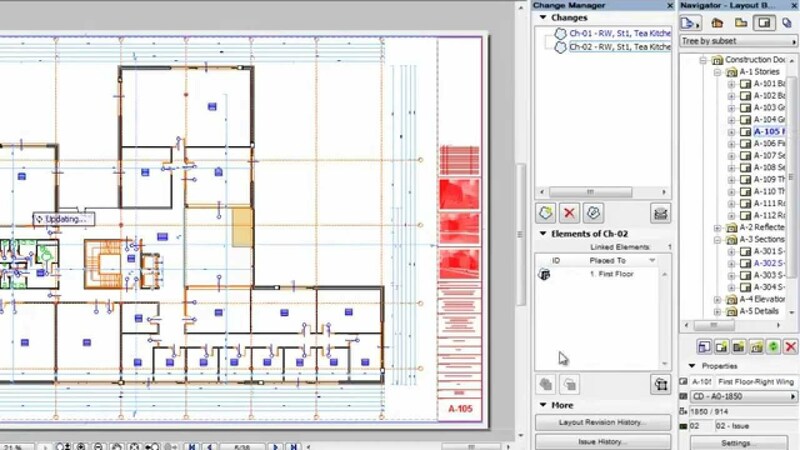 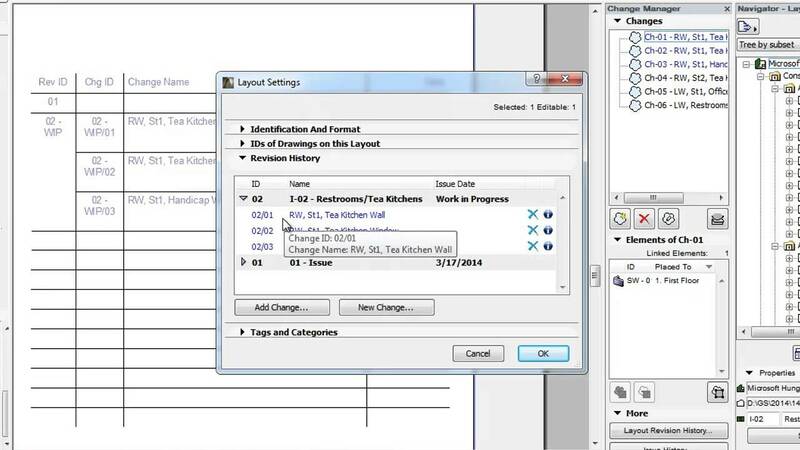 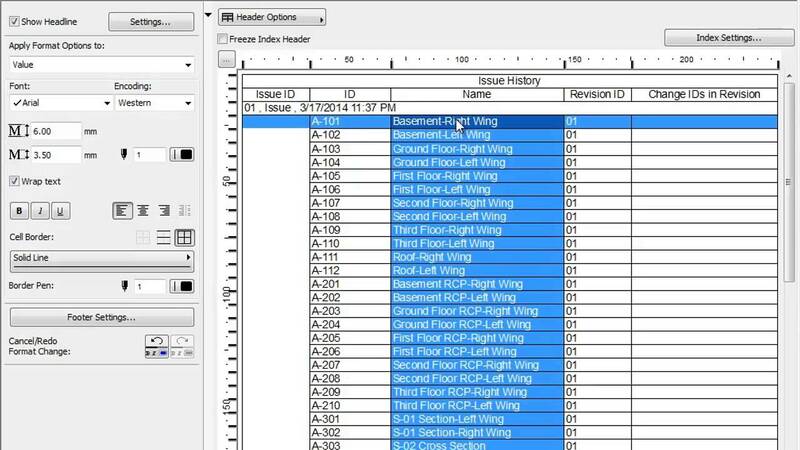 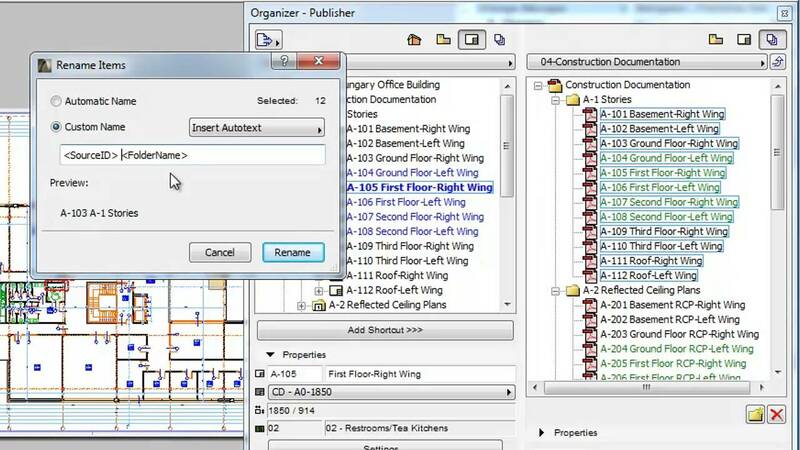 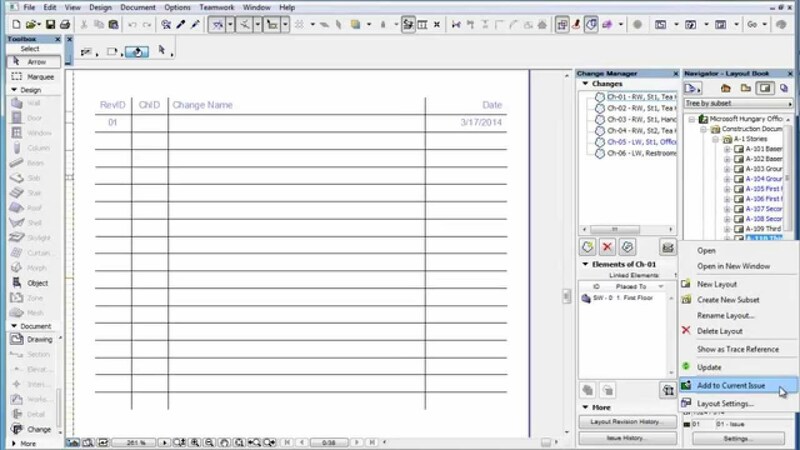 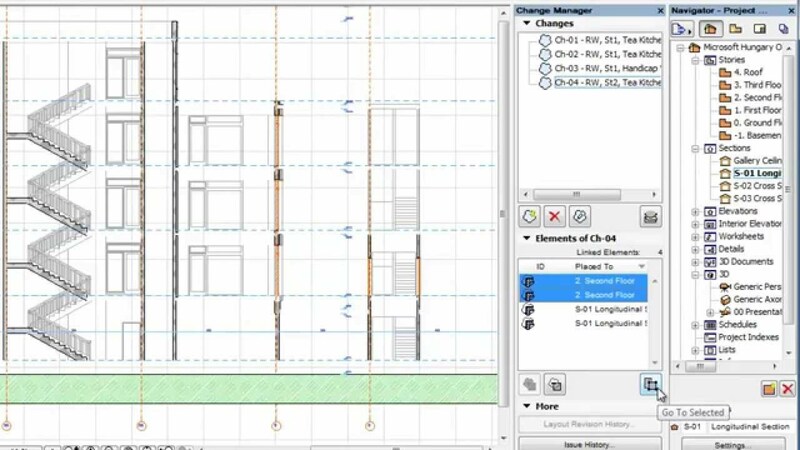 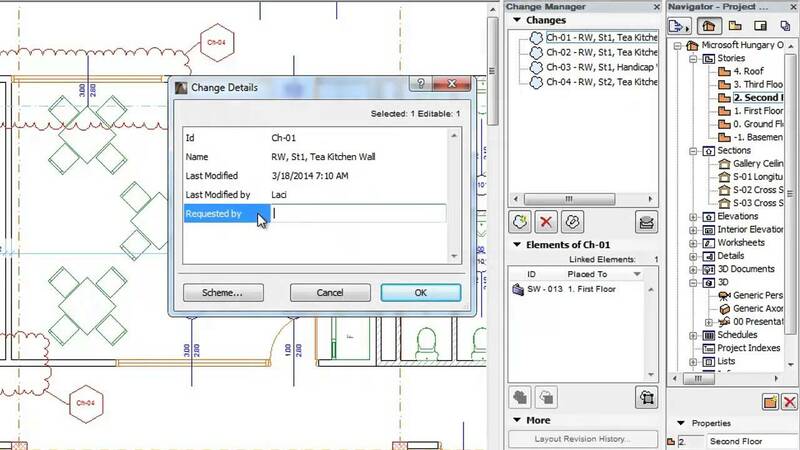 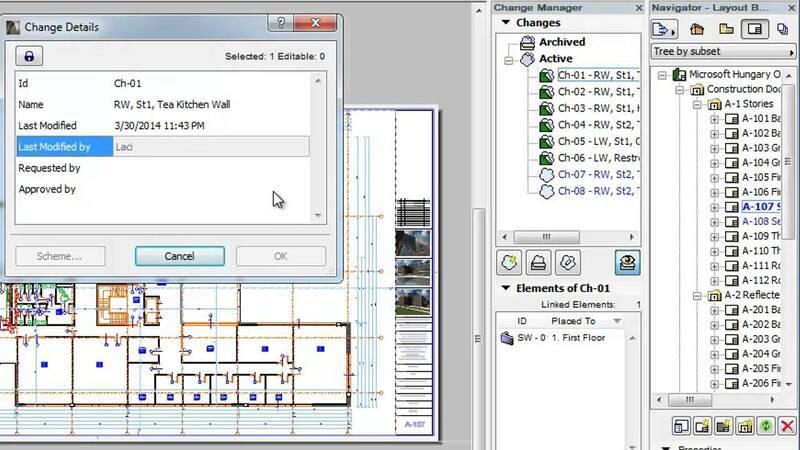 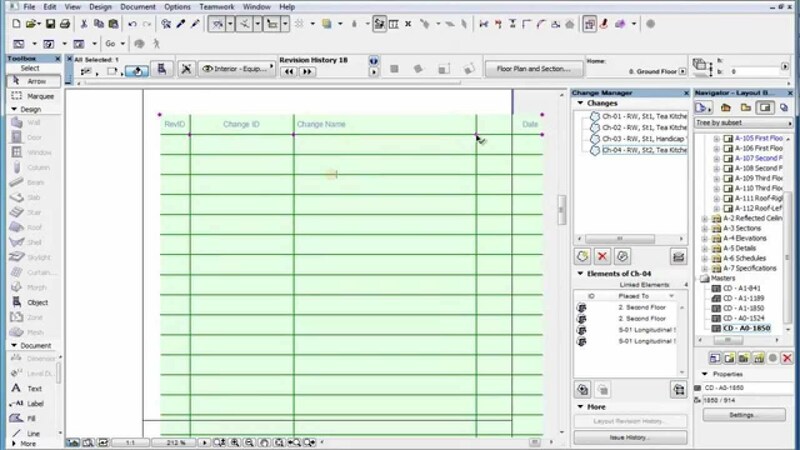 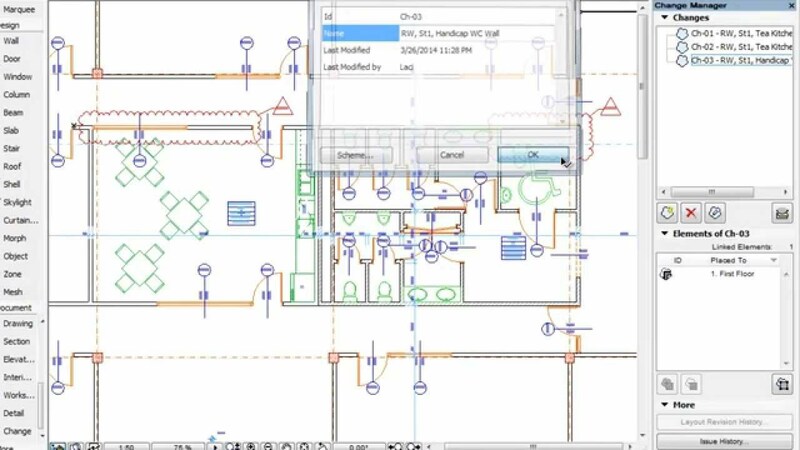 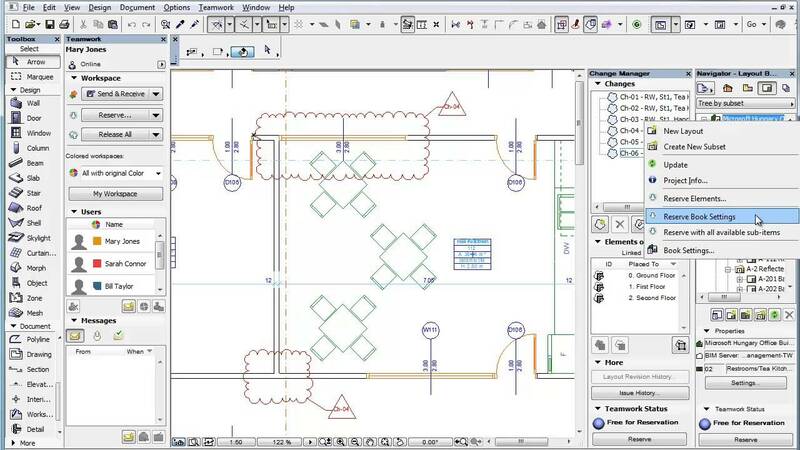 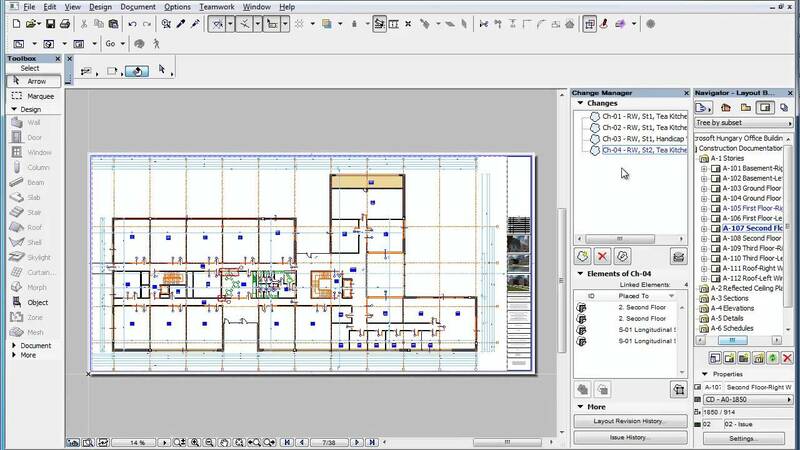 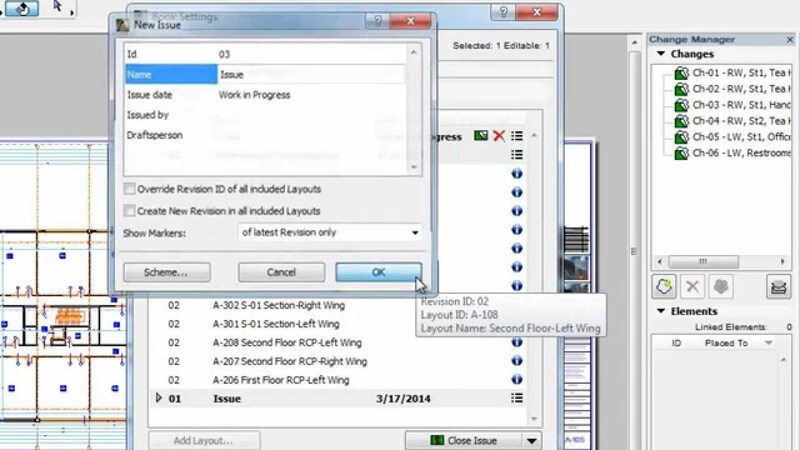 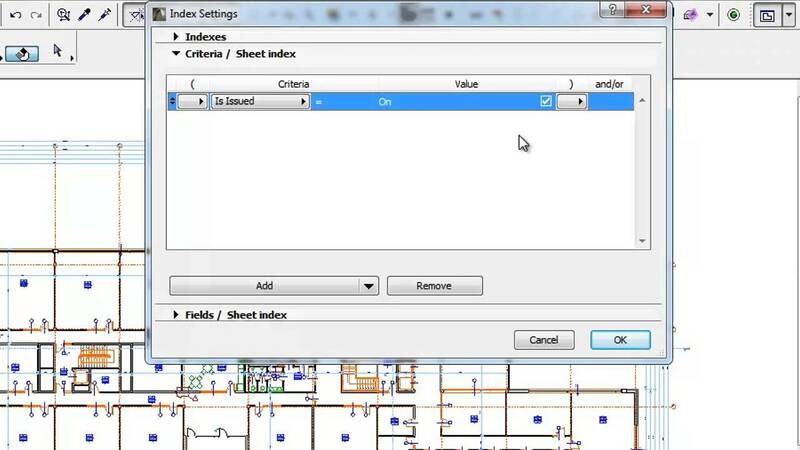 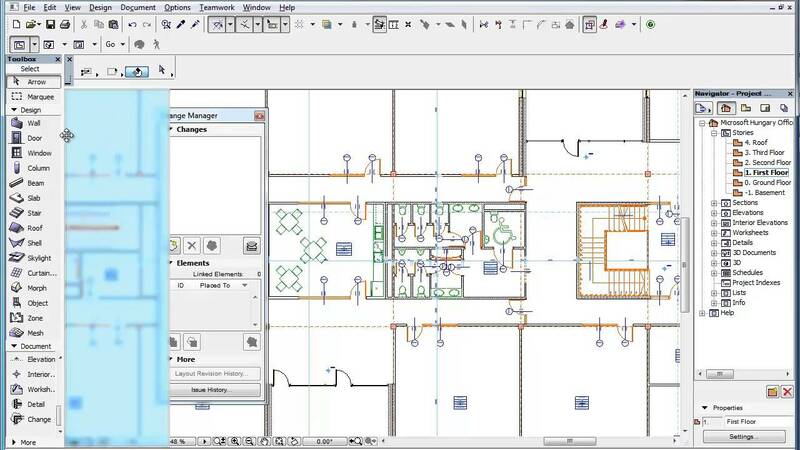 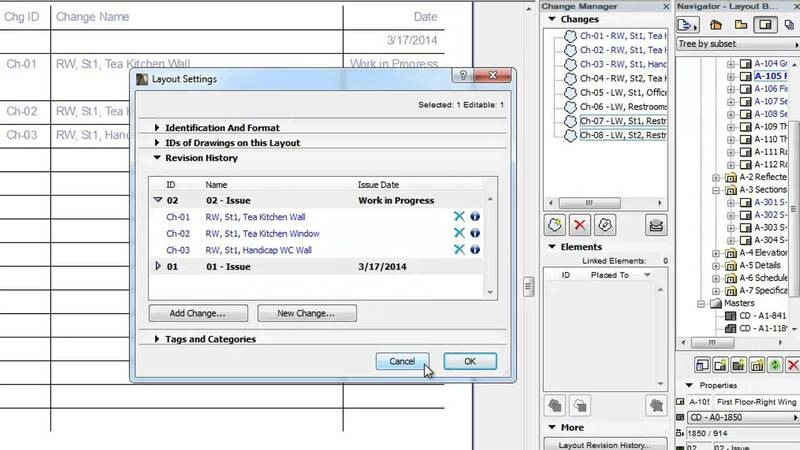 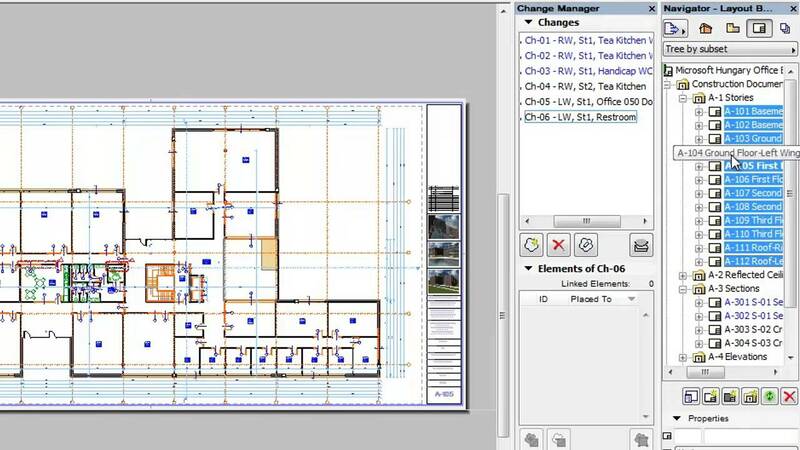 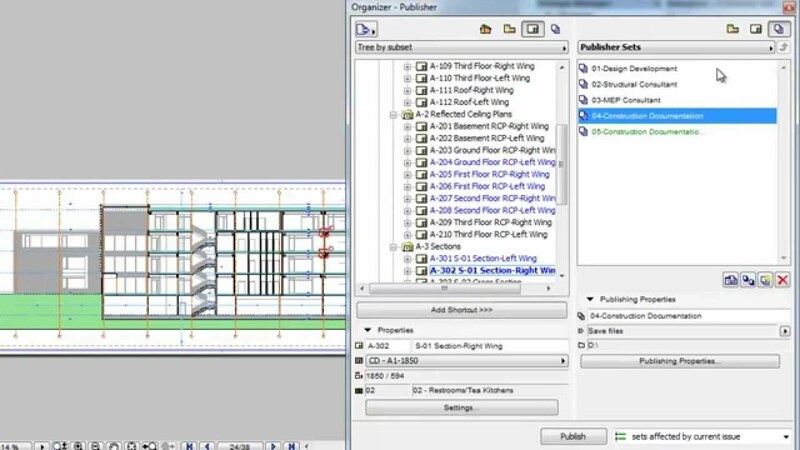 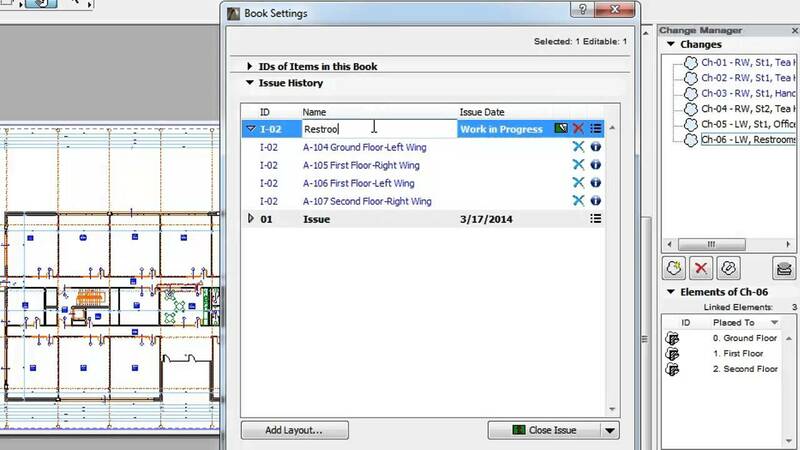 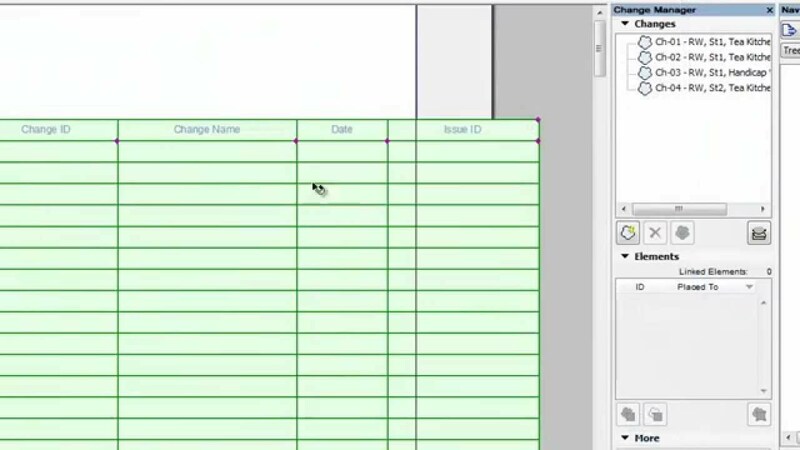 Document changes to the building model are automatically tracked and managed throughout the full project cycle. 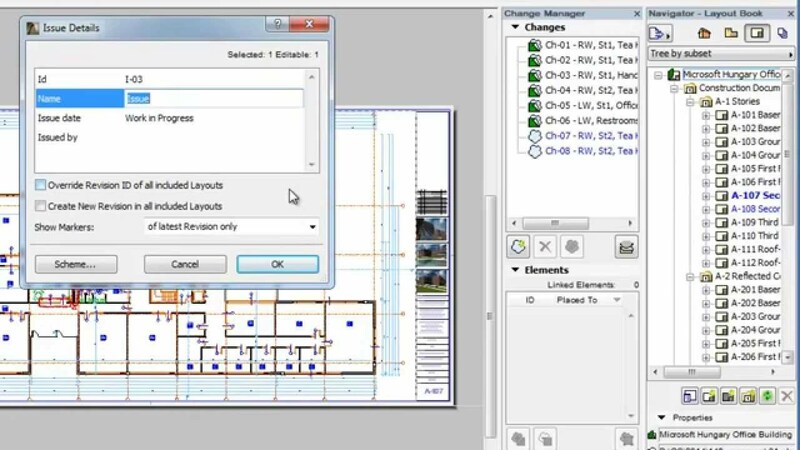 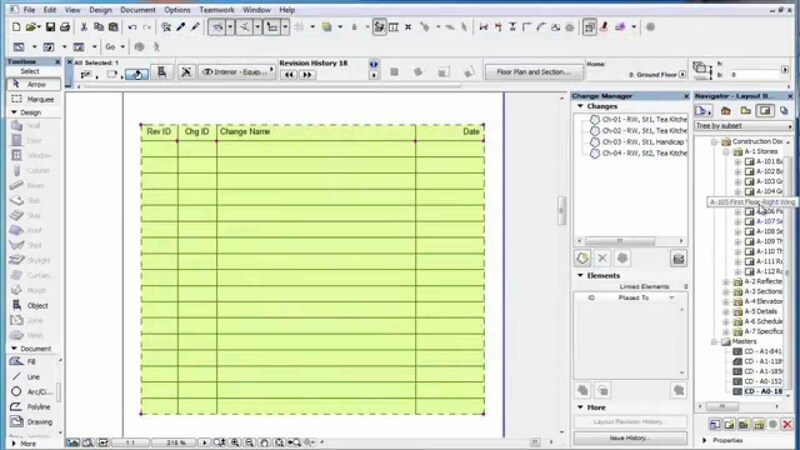 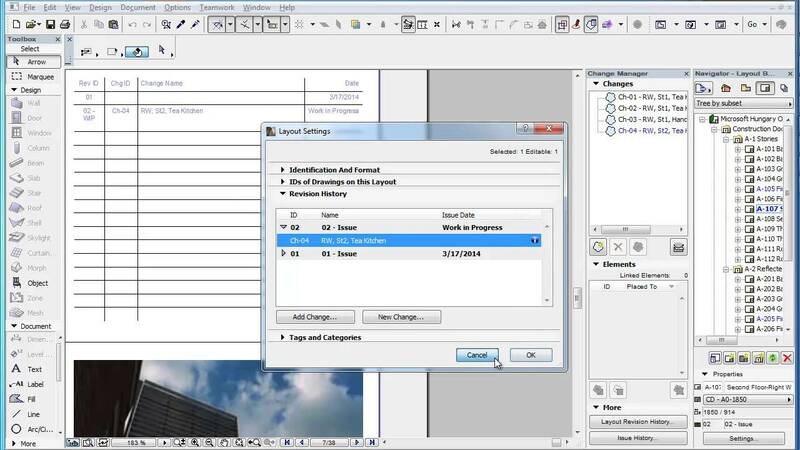 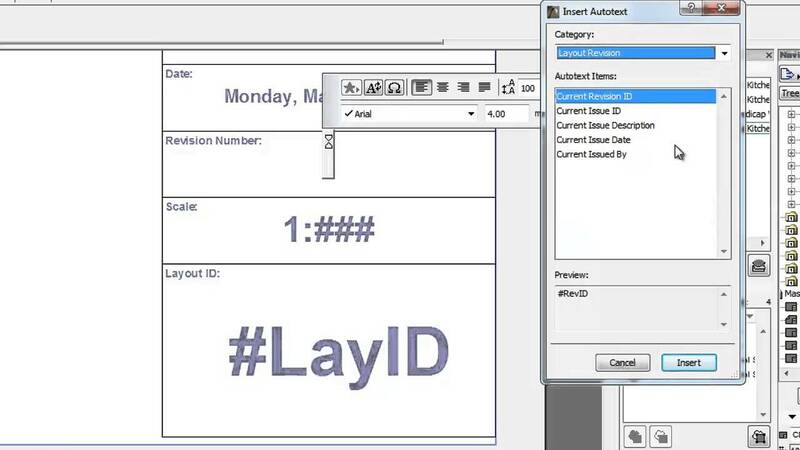 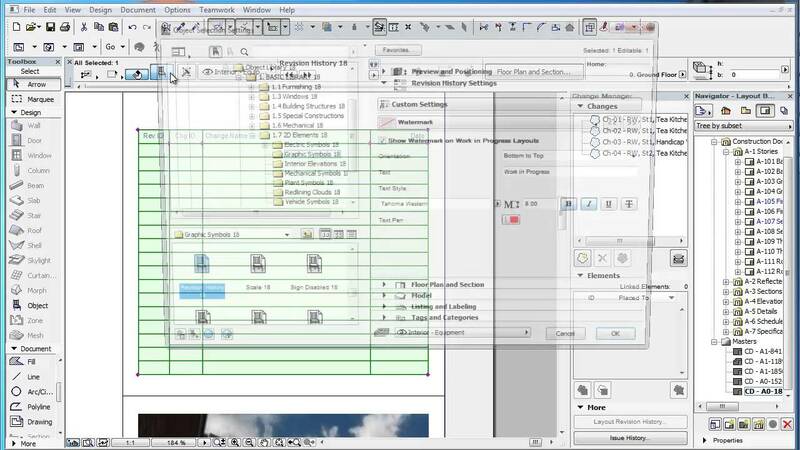 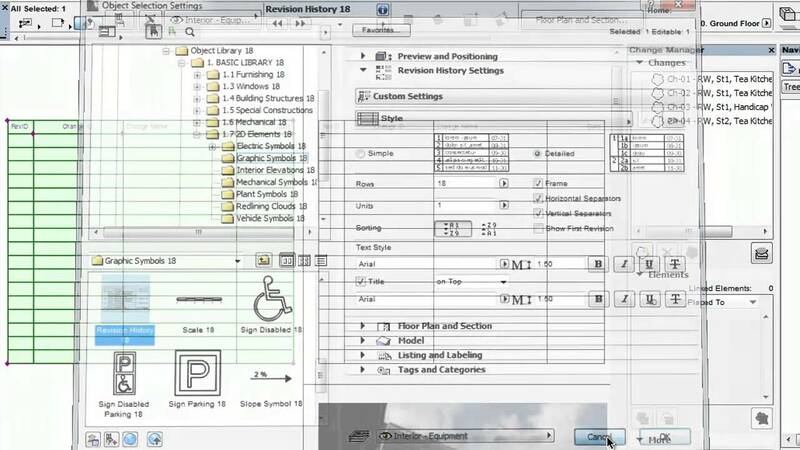 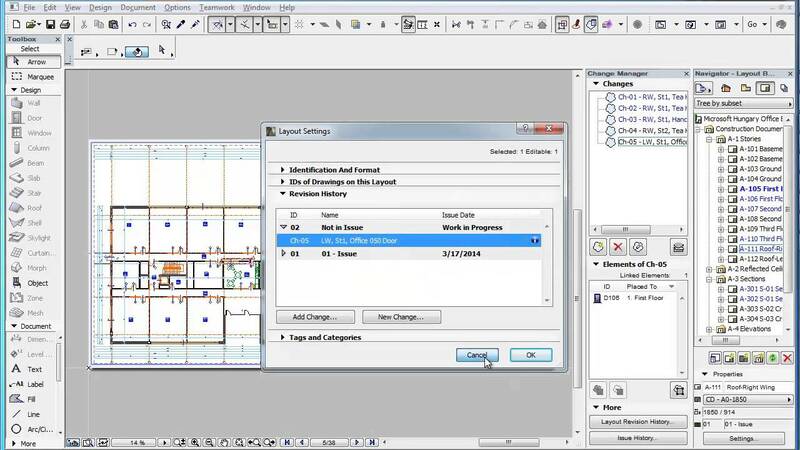 The customizable details of the revision history can be automatically displayed on layouts. 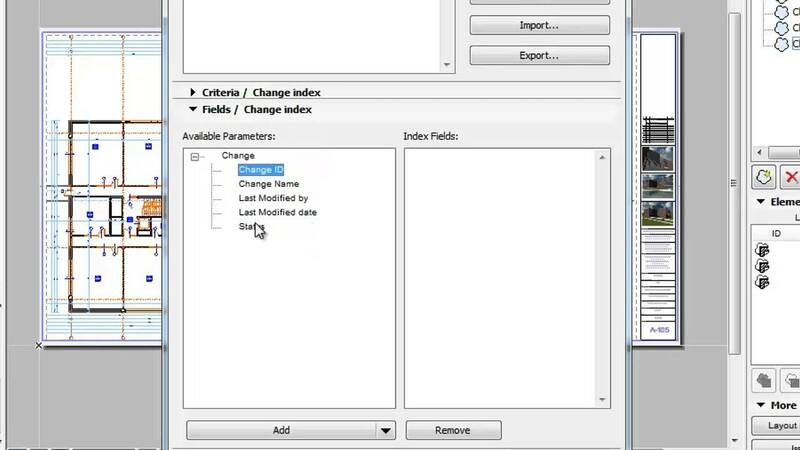 The Change Manager and the Change tool can be used to assign, create, manage and track changes and change requests in various project views. 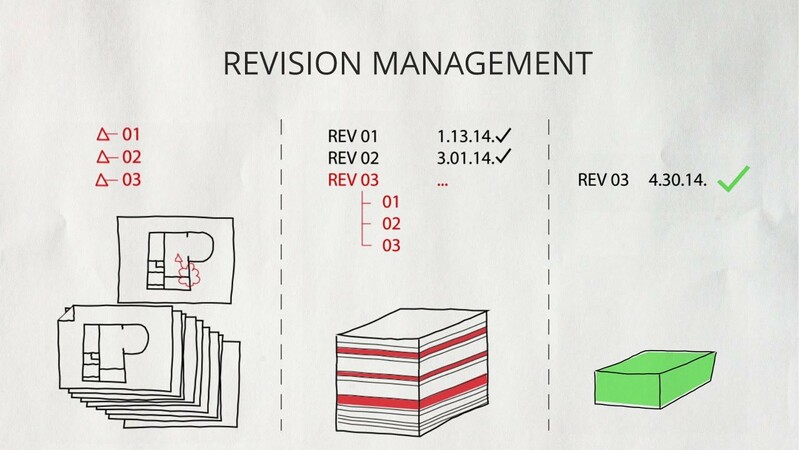 Revision Management-Related Teamwork User Rights, Part 1. 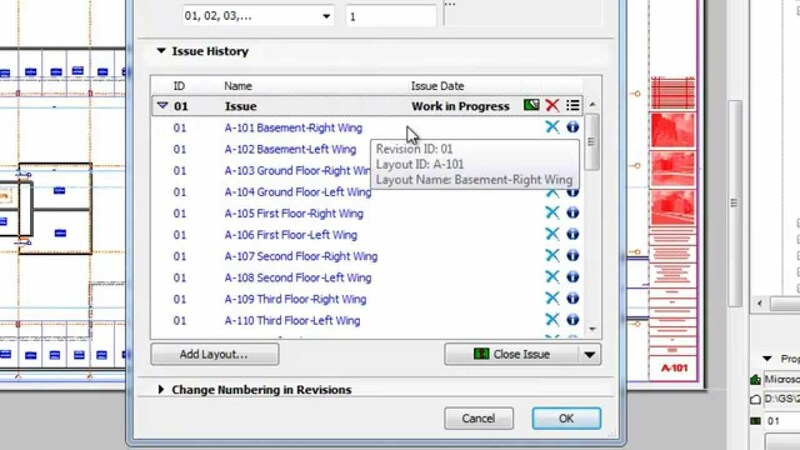 Revision Management-Related Teamwork User Rights, Part 2.